Presented by the Camden County Board of Freeholders in association with BRE and the Borough of Collingswood, the Scottish Rite Auditorium welcomes Crash Test Dummies on Saturday, March 9th. Doors open at 7 PM, showtime at 8 PM. Bruce In The USA is much more than just another tribute – this high energy musical experience is a note-perfect and visually accurate recreation of a Bruce Springsteen and The E St. Band show. 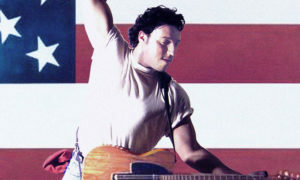 Matt Ryan, from the world famous “Legends in Concert” cast began playing the Springsteen character in 2000, in Legends “full scale” Las Vegas show. The great success in the famous Las Vegas show brought him to performances across the world, eventually evolving his character into the Bruce In The USA show. Tickets go on sale Friday, November 30th.